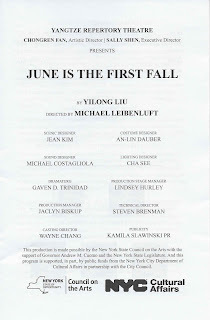 Going to the West Village to see a show touted as “a queer play about mooncakes” has all the promise in the world, but this one falls short on ingenuity. You’ve seen it before. A man returns to his hometown after living in the big city. He’s the black sheep—in this case, a Chinese gay man, Chinese not even having a correct way to say that. (A line in the script says: "Yes, Chinese is great; it's old, it's poetic; its beautiful; it's whatever. But there's not even a right word for gay.") His family is moving from their childhood home; memories are sparked as they pack up the house, old tensions stir, and arguments ensue. 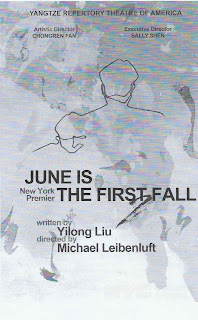 While the story isn’t new, Yilong Liu’s June is the First Fall strives to tell it through a contemporary Chinese lens. Karsten Otto, Alton Alburo. Photo: Maria Baranova. 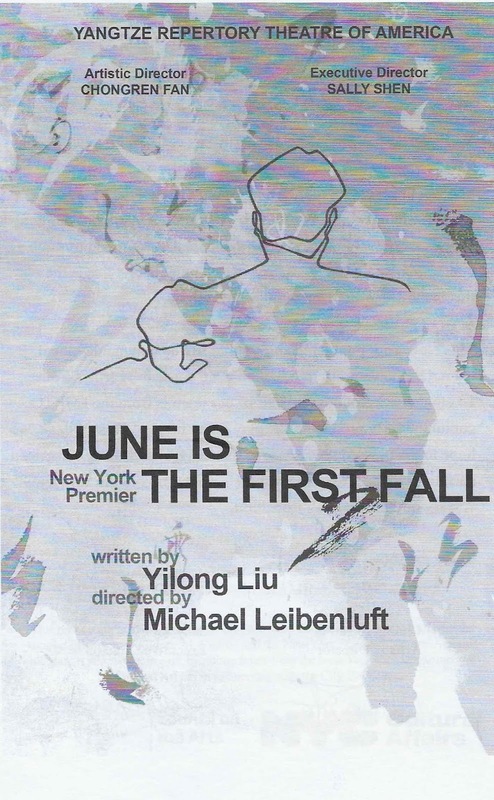 Coming off a Honolulu run last November, the second-place Paula Vogel Playwrighting Award-winning June Is the First Fall makes its New York City debut with Yangtze Repertory Theatre (Artistic Director Chongren Fan). 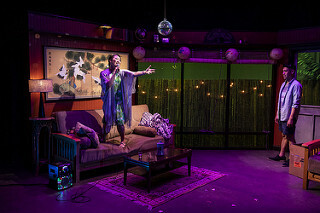 The company is aiming to extend its reach and impact by telling stories of sexuality, immigration, and gender that are recognizable to a broader audience. Fan hopes to give more prominence to queer Asian and Asian-American narratives, like this one. Karsten Otto, Fenton Li, Stefani Kuo, Alton Alburo. Photo: Maria Baranova. 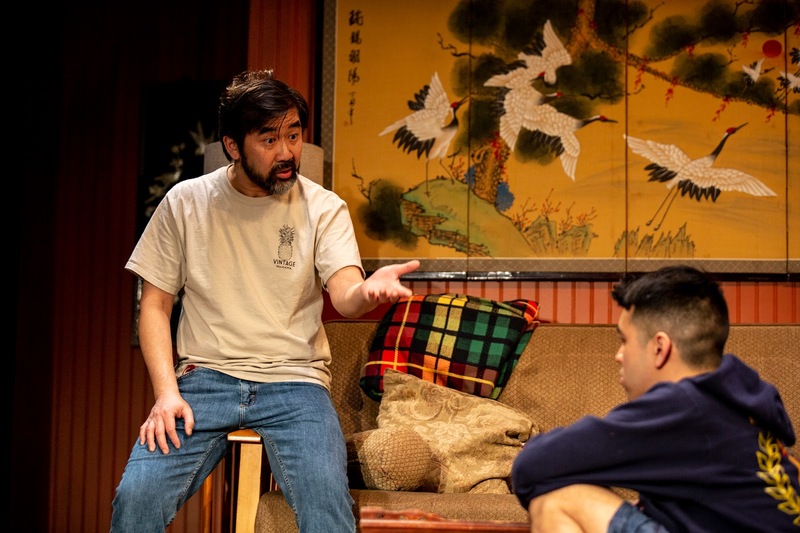 After a 10-year absence following a coming-out that didn’t go so well, Don (a talented and quirky Alton Alburo) boards a plane to Manoa, the Hawaiian valley where he grew up after immigrating from China as a little boy. As he hops into his dad’s Honda, there’s a clear contrast between his tight hipster clothes and the tattered T-shirts and loose shorts worn by the men in his hometown (curated by costume designer An-Lin Dauber)—he’s a bonafide Nu Yawka now. There to greet Don in their childhood house is his older sister, Jane (Stefani Kuo), the sibling who knows how to write Chinese; she’s the one who stayed behind with their father after their mother died. 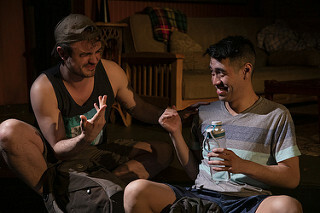 Alburo and Kuo convincingly portray the duality of elbowing-each-other familiarity and strained awkwardness between an estranged brother and sister. Less successful is a somewhat ambiguous subplot that doesn’t go anywhere, involving Jane’s fiancé Scott (Karsten Otto), a local haole (white dude) and loveable doofus Don had a crush on back in high school. Chun Cho. Photo: Maria Baranova. Arguably the most developed character is Don’s father, David, played with seasoned flair by Fenton Li. As a widower and restaurant owner who’s had to come to terms with a gay son who doesn’t speak or write Chinese, he wears his weariness in his posture and gait. As far as conservative fathers go, he’s actually pretty reasonable. There’s a limit, though, to how far he can bend. As Don tries to reconcile his culture with his identity, he’s increasingly squelched by the valley (resulting in increasing whining). Liu’s Hawaii is not the stereotypical paradise a typical New Yorker imagines. It always rains, and we feel the heat and the smallness of the island envelop Don during his visit. We never see beyond the stifling, weathered living room (excellently designed by Jean Kim) and its old beige futon. Despite the singular setting, director Michael Leibenluft’s fluid staging uses simple touches like shoe changes to seamlessly transition the characters through their scenes without breaking up the action. Fenton Li, Alton Alburo. Photo: Maria Baranova. I could do with fewer by-the-numbers lines like, “Why can’t you act like a man?” in favor of more nuance, but overall Liu’s dialogue conveys the flavor of a writer who’s lived in China, Hawaii, and New York. The scenes that feel the richest involve the whole family sharing anecdotes about Chinese traditions and the meaning they held for Don’s mother (Chun Cho). 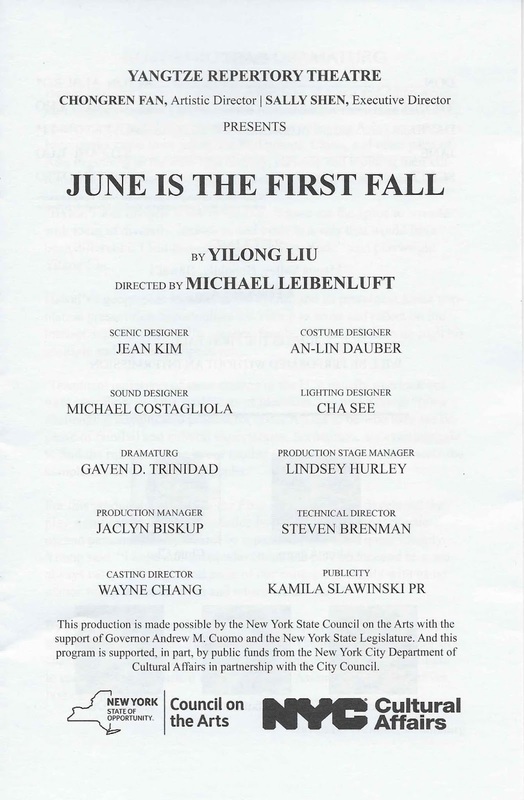 You probably won’t leave the New Ohio Theatre profoundly altered, but we can’t ignore the magnitude of the gift a piece like June Is the First Fall delivers: bridging the cultural divide with a reminder that it’s our familiar stories that connect us. Guest Review 5 (2018-2019): LEZZIE WITH A "Z"
Guest review 3 (2018-2019): CHOIR! CHOIR! CHOIR!